The heart has its own electrical system, moving signals from the top of the heart to the bottom, causing the chambers to contract and pump blood. The heart begins beating a few weeks into conception and continues for our entire lives. Some heart disorders interrupt the normal rhythm of the heart’s contractions, in a general condition called arrhythmia. Dr. Meshkov routinely deals with patients suffering from arrhythmia. 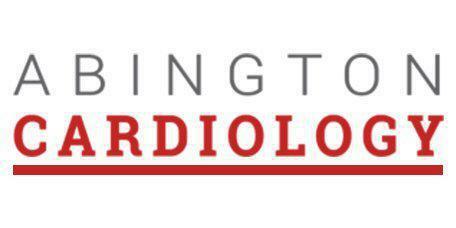 He and the team at Abington Cardiology, serving the Abington, Pennsylvania area, can assess and diagnose your arrhythmia condition. ﻿﻿Are all heart arrhythmias dangerous and life-threatening? Arrhythmias occur when the heart’s internal electrical system falls out of sync. If a person is aware of the episode at all, it may feel like a flutter or racing heartbeat. Often, short episodes of arrhythmia are harmless. Frequently, a doctor detects an arrhythmia before the patient notices. Not all episodes are trouble-free, however. Arrhythmias may be aggravating or even life-threatening. What are the causes and symptoms of arrhythmia? There’s no single cause for heart arrhythmia, which is itself a description of the symptom rather than a condition. Simple causes of minor arrhythmia include drinking too much caffeine or alcohol or reaction to medications, including over-the-counter cold and allergy products. An arrhythmia may accompany an active heart attack or occur due to damage from a previous attack. Other disorders of the heart, such as cardiomyopathy or blocked cardiac arteries, may trigger arrhythmia. Thyroid issues and diabetes may cause episodes, as does stress, smoking or drug abuse. The severity of symptoms can influence the urgency of treatment. Light feelings of flutter or racing may be barely noticeable and may pass quickly. If the sufferer also has risk factors for other heart disorders, discussing with a primary care physician is prudent. When symptoms are intense and upsetting, seek emergency treatment immediately, through 911 or other fast intervention. Ventricular fibrillation, a type of arrhythmia, could cause the heart muscle to spasm in such a way that blood is no longer pumped effectively and blood pressure drops dangerously. This arrhythmia will cause the patient to collapse quickly. Call or schedule an appointment online with Dr. Meshkov at Abington Cardiology.